My little ones love making crafty bits and pieces too. 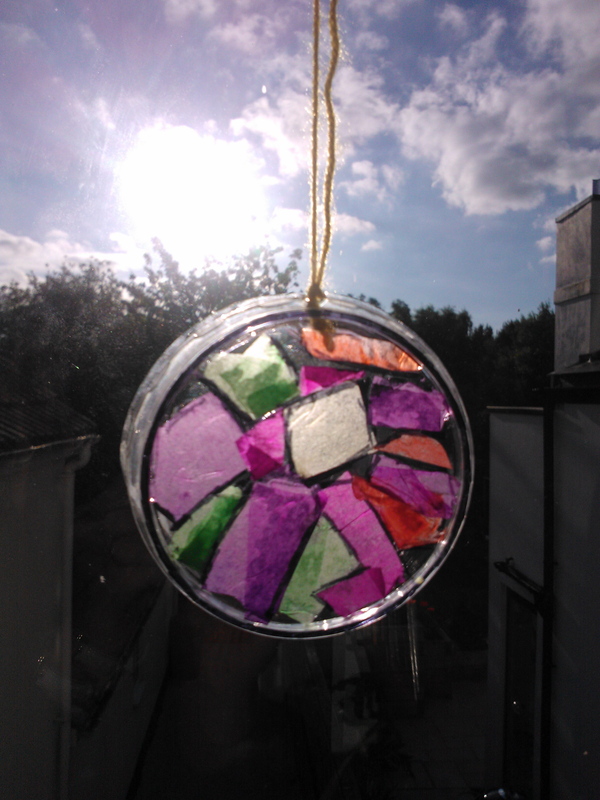 These suncatchers are so simple but look lovely hanging in a sunlit window. As they require mainly things you already have at home or bits from the recycling bin they are super-cheap too! 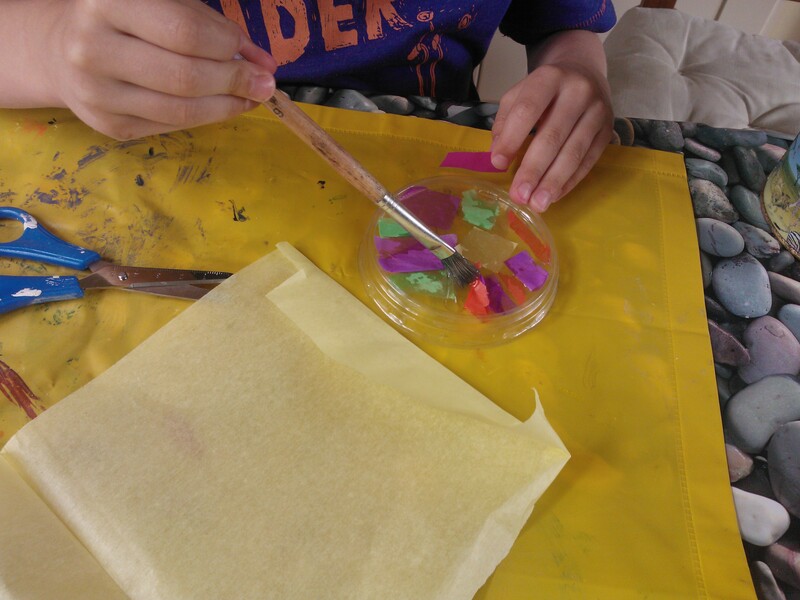 We saved plastic lids from the tops of large yoghurt pots and houmous, washed and dried them, then glued torn or snipped pieces of coloured tissue paper on. 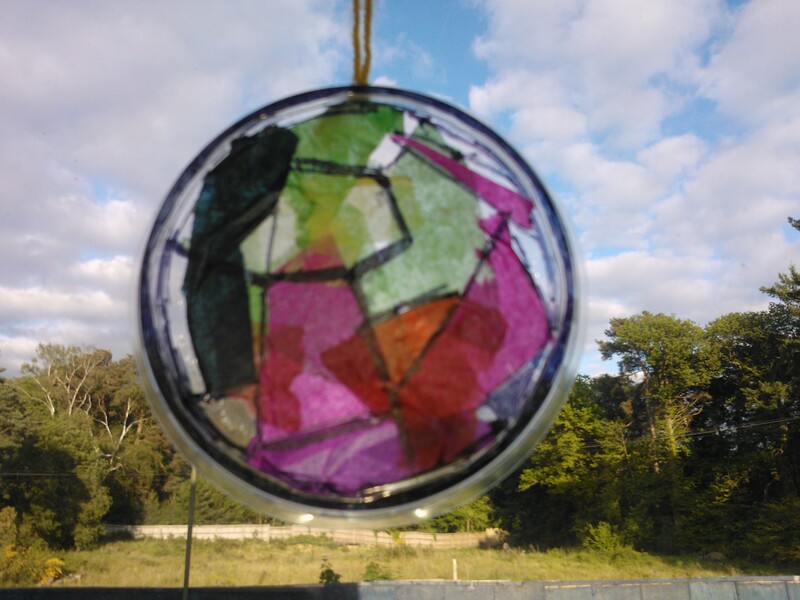 We then used a permanent marker pen to outline the design to give it a “stained-glass” effect. 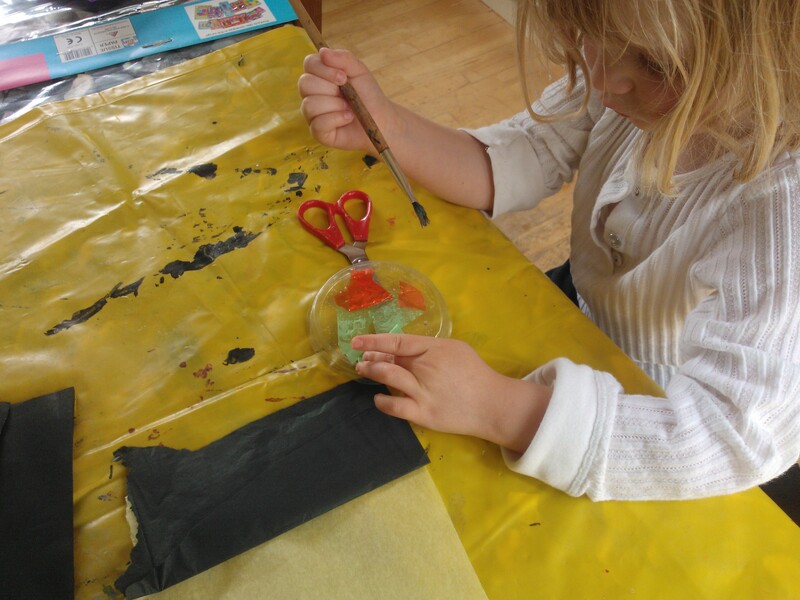 The focus achieved by a 4 year old when doing something easy & fun is amazing!